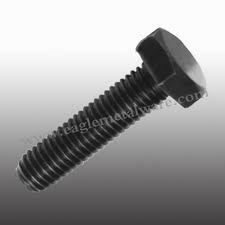 We have captured a respectable position for our self in the market through manufacturing premium quality fasteners. These alloy steel fasteners feature long lasting metal, superior polish and precise dimension. We seek you as our valuable customer...!!! We are pleased to introduce ourselves as one of the leading stockist, suppliers & manufacturer of high quality Stainless Steel and Non Ferrous Metals, committed to providing engineering security for all of today's industry in the field of STAINLESS STEEL :- Round, Square, Flat, Hexagon, Plates, Sheets, Coils, Strips, Pipes / Tubes / Pipe Fitting (Seamless & Welded), big size fabricated Pipes with 100% Radiography, Wire Circle, Fasteners Valve, Perforated Sheet, Wire mesh etc. in the grade of AISI 304, 304L, 316, 316L, 321, 309, SAE, ISS & all international grades.